Begin your voyage to riches! No explorer was as brave and adventurous as you! Join his voyage and journey to the Far East to build a fortune! You will venture to China, where you will discover the kingdom of Kublai Kahn and meet the Emperor as he gifts you treasures from his homeland. Go on a search for riches when you Voyage From Venice! 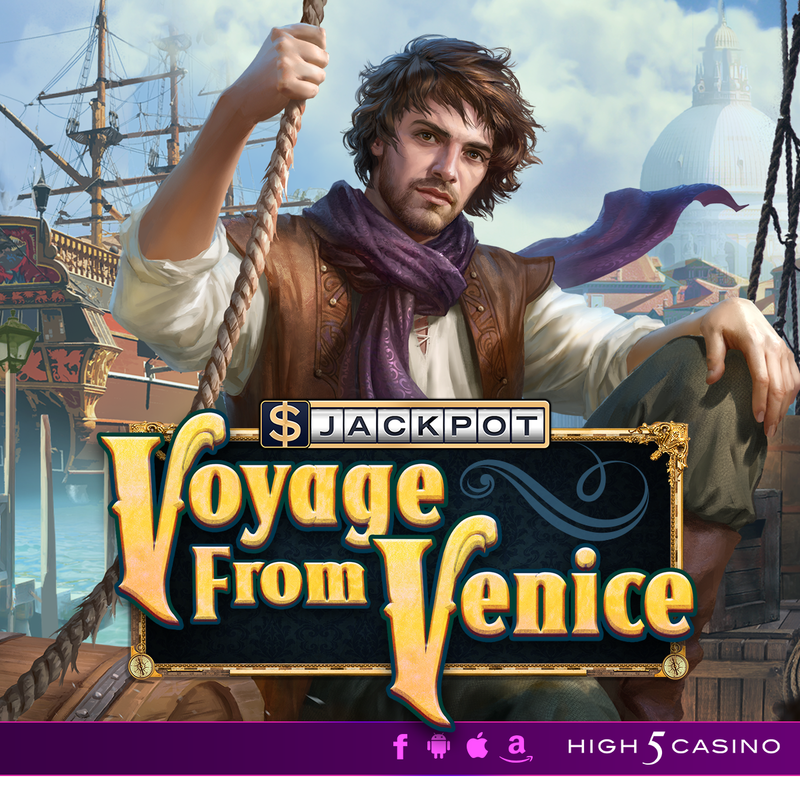 This entry was posted in game preview, High 5 Casino, High 5 Games, New game and tagged Connected Lines, game preview, H5C, High 5 Casino Mobile, High 5 Games, Horizontal Expanding Wilds, slots, social gaming, Stacked Wilds, voyage from venice by hoothigh5. Bookmark the permalink.